The Catamounts travel Dayton, Ohio on Saturday November 30th, to meet Horizon League member Wright State in the Nutter Center. In his fourth season at Wright State, Head Coach Billy Donlon, the 2013 Horizon League Coach of the Year, looks to repeat last season's success. The Raiders finished the 2012-13 season with a school-best 23 wins, advancing to the finals of the Horizon League and ending the season in the semi-finals of the College Basketball Invitational after being picked to finish last a year ago. The Raiders were picked to finish second in the 9 team Horizon League, behind Green Bay in the 2013-14 season. The Raiders return much of last year’s team plus the addition of four newcomers. Wright State has two players averaging double digit scoring, senior guard Miles Dixon (6-1, 180) at 10.8 ppg, and senior forward AJ Pacher (6-10, 245) at 10.7 ppg, as well as, two player averaging 9 ppg, sophomore forward JT Yoho (6-6, 220) and junior guard Reggie Arceneaux (5-9, 160). The team is shooting 49% in field goals, and 36% from 3-point range. A team strength is free throw shooting, as the Raiders are shooting 78% at the charity stripe. Wright State is 4-3 overall this season, with 3-0 home record. The Raiders have win against Mount St. Joseph, Manchester, Houston Baptist, and Alcorn State with losses against Georgetown, Depaul, South Alabama. The Raiders are at 283 in RPI (Real Time), and a Sagarin ranking of 119. By comparison, Western Carolina's RPI is 194 and Sagarin is 199. Western Carolina's Makensey Campbell, a Catamount basketball player, has been named the Southern Conference Student-Athlete of the Week for Nov. 27. This is Campbell’s second career Student-Athlete of the Week award, as she also won the award on Feb. 6, 2013. Campbell, from Johnson City, Tenn., is a junior biology major and currently holds a 3.98 GPA. Campbell led the Catamounts to wins over UNC Asheville, Georgia State and Appalachian State this week, scoring in double figures in two of the three contests. Campbell averaged 13 points and four rebounds in the three Catamount wins, hitting six 3-pointers. Campbell scored 18 points in WCU’s 71-63 victory over Appalachian State on Tuesday night. Purple & Gold congratulates Makensey on her selection. Had it not been for Trey Sumler coming to life in the second half, scoring 20 of his 28 points, including 14 of the last 16 WCU points in the final three minutes, the Catamounts would have had a Division II loss to tack up on the locker room bulletin board this morning. The Cats survived the determined Limestone Saints upset bid, 78-69. The Cats trailed by as many as 12 points to a good shooting Limestone team in the second half, behind the hot shooting hand of PJ Foster. The Saints had four players scoring in double digits, along with Foster's 22 points, Josh Odem scored 16, Assad Woods put up 13 and Shaq Dance had 11 points. Western Carolina snapped a 10-game losing streak to Appalachian State dating back to 2009 as women's basketball team opened SoCon play with 71-63 victory over Appalachian State in the Holmes Center. Four Western players scored in double figures, with Makensey Campbell scoring 18 points, Justin Taylor putting up 15 points while Lindsay Simpson and Rena Wakama each had 14 points. The Catamounts landed a season-high 11 three-pointers, while Appalachian had just two treys in the game. The Cats scored 23 points off turnovers, holding App to just 16. ASU had a huge advantage in the paint, putting up 44 points to WCU's 16. Redshirt senior Trey Sumler was named the Southern Conference Player of the Week by Scanning the SoCon, College Sports Madness, and the Southern Conference. Sumler average 18.3 points, 6.3 rebounds and 5.7 assists per game during the week covered. He scored a career-high 35 points in Western's win over Niagara. Sumler followed up that performance with 16 points and nine rebounds in a loss to USC Upstate. He is the fifth-leading scorer in the conference with 17.2 points per game and ranks second in assists (4.5 apg). Congratulations to Trey from Purple & Gold. After the Catamounts' six game road trip, the Limestone College Saints will travel to the friendly confines of the Ramsey Center on Tuesday, November 26 at 7:00 pm. Limestone College is located in Gaffney, SC and is a NCAA Division II college. Limestone finished tied for the 2012-13 Conference Carolinas regular reason championship and made the program's second NCAA Tournament appearance on the strength of the Saints' 21-9 overall record, last season they were 13-3 in the Conference Carolinas. The Saints return starters senior guard PJ Foster (6-0, 170), senior forward Jamal McNeill (6-5, 210) and senior guard Rashod Chavis (6-2, 170). The Limestone men's basketball team was picked preseason to finish second in the nine team Conference Carolinas. The Saints have four players scoring in double figures, paced by Foster averaging 20.7 ppg, followed by junior guard Josh Odem (6-5, 185) with 15.2 ppg, freshman forward Shaq Dance (6-4, 180) with 11.7 ppg and junior guard Assad Wood (6-4, 215) at 11.5 ppg. McNeill is the leading rebounder with 8.8 rpg. Starting out the season with 2 seniors suspended, looked to be a huge hardship for the Catamounts, but they beat both Wittenberg and UNCA on the strength of bench. Trey Sumler returned for the Oregon game, and put up 29 points in a losing effort to the Ducks. The Cats then traveled to Va Tech, where the Cats shot a dismal 32% from the floor, with Sumler scoring only 11 points. The Cats now own a 4-4 overall record, with wins over Wittenberg, UNCA, Liberty and Niagara. Loses to Va Tech, Kent State and USC Upstate are due to inconsistent scoring by the Cats, especially Sumler, Tankelwwicz, and King. 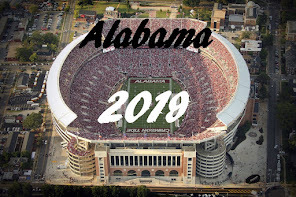 This could be the turmoil caused by the suspension and then return of Sumler and Mendenhall, but I expected more consistant play from the seniors on the team, that hasn't yet materialized. Unless it does, the Cats will finish mid-pack going into the tournament. The SoCon has not been good. The RPI currently ranks at #33. 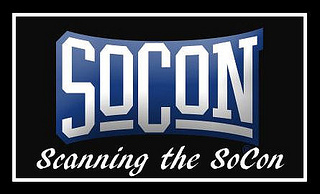 Why is the SoCon so bad? Bad teams, equals a bad conference. 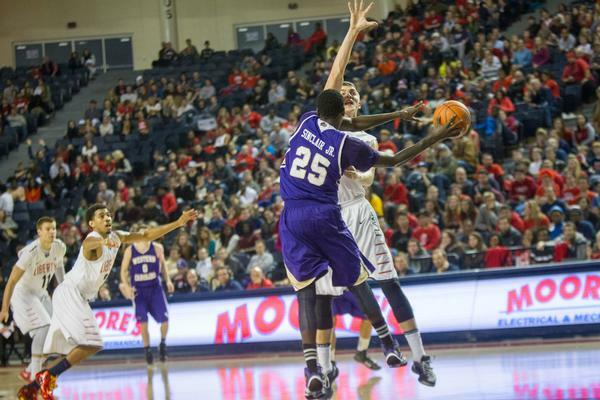 A traditionally weak basketball conference, the SoCon has slipped even slower. No SoCon team has a winning record against Div I teams, only one team is at .500 and 9 have losing records, while 5 teams have won no games against Div I opponents. The best performer at this point. Western Carolina has 3 Div. I wins, but 4 Div. I losses, while 5 teams have only 1 Div. I win. Of the three teams that are departing at the end of the season, App State is 0-4, GSU is 0-3, and Davidson is 1-4. I think the conference's emphasis on FCS football is to blame, as each school devotes a lion's share of the resources to football (except Davidson & UNCG). If you base it on Div. 1 games only records, it's Furman at 1-2. GSU is 0-3 and Chattanooga comes in at 0-3. Just three weeks into the season, I think that is about all that can be concluded from so few games played. What;s your thoughts on exempt tournaments, both that allow winners to advance in true tournament fashion or like the Las Vegas Invitational with teams playing road games against the best teams and then a tournament against the lesser teams at a location, etc? I'm for any opportunities for teams to play additional games, in tournament settings. These exempt tournaments provide valuable experience for the teams playing in them in preparation for both the regular conference season and conference tournament play. Playing for the only trophy either team was eligible to win, the Mountaineers once again dominated the Catamounts on the football field, with a 48-27 victory, to win possession of the Old Mountain Jug (this time for good). App State has a 59-18-1 record in the 78 times the two teams have met. Since the Old Mountain Jug was introduced into the series, Appalachian has won 30 of the 37 contests versus the Catamounts, including eight-straight and 26 of the last 28 meetings. What I don't understand, given the above statistics, is why ANY Catamount fan would want to continue playing Appalachian State in football, with their increase to 85 scholarships, and a home field advantage every season. This is what winning looks like. (See below). The Catamounts will wrap up play in the Coaches versus Cancer tournament in Kent, Ohio on Saturday at 5:00 pm when they face USC Upstate of the Atlantic Sun Conference. This is the first meeting between the Spartans and the Catamounts on the basketball court. USC Upstate senior forward Torrey Craig (6-6, 215) was selected as the Atlantic Sun Preseason Player of the Year and teammates senior forward Ricardo Glenn (6-8, 246), and junior guard Ty Greene 6-3, 185) earned a spots on the preseason all-conference team. The Spartans were picked to finish third in the overall league standings behind Florida Gulf Coast and future SoCon member Mercer. Upstate enters the game with the Cats owning a 2-3 overall record, but that record is deceiving. The Spartans tipped off the season at Virginia Tech, beating the Hokies on their home floor by a final score of 64-63. The Spartans have an 82-74 loss to Winthrop in Rock Hill, and a 74-65 loss at Tennessee in Knoxville. In the Coaches vs. Cancer tournament, the Spartans beat Niagara 83-74 on opening night, then lost on Friday to Kent State by one point, 79-78. Upstate has two players averaging in double figures, Torrey Craig is averaging 22.3 ppg and Ty Green is putting up 17.3 ppg. Overall, the Spartans are hitting an average of 44.5% from the floor, and 69.5% from the charity stripe. Green is hitting 85% of his free throws, putting up 17 of 20 attempts. The Spartans are turning the ball over only 12.8 times per game. If the Cats are shooting like they did in the Niagara game Friday evening, they will match up well with the Spartans, however, if they are cold as they were against Kent State, the Spartans have the ability to run away with the game. The Spartans currently have a 106 ranking in RPI (Warren Nolan), by comparison the Catamounts are at 168, A win against the Spartans will certainly help the Cats' RPI. In a high scoring affair, Western Carolina outlasted the Purple Eagles of Niagara in a 98-90 shootout in the Coaches verses Cancer Classic. Three Catamounts had career-high scoring, led by Trey Sumler (35 points), while Mike Brown put up 17 point for a personal best, followed by Rhett Harrelson's 12 points, that is a career high for him. Brandon Boggs put up 17 points and hit career milestone, scoring his 1,000th point, to become the 43d Catamount to reach that plateau. The Cats hit 58.9% from the field for the first time since 2103 when the Cats hit 52.7% at Georgia Southern. The Catamounts were also hot from the three point range, shotting 62.5% from three point range. WCU meets USC Upstate on Saturday afternoon in the third and final Coaches verses Cancer Classic. The Catamounts continue play in the Coaches vs. Cancer Classic on Friday against Niagara in the M.A.C Center as the Catamounts continue on a 10-day, six-game road trip. WCU and Niagara will meet at 5:00 pm. The Cats and Purple Eagles have never met on the hardwood. Niagara, is a member of the Metro Atlantic Athletic Conference (MAAC) and was selected eighth out of 11 teams in the MAAC Preseason Poll. The Purple Eagles are 1-1 on the season after losing to Seton Hall, 83-72, and then a win over Buffalo, 92-81, in their last game. Niagara's victory over Buffalo was their home opener, as well as, the first victory for new head coach Chris Casey. Niagara was led by junior Antoine Mason's 25 points in the win over Buffalo. Freshman Ramone Snowden added 15 points, and eight rebounds, along with sophomore Tahjere McCall's 15 points and eight rebounds. Mason was named MAAC Player of the Week on Nov. 18 after his 25 points against Buffalo. Mason was also named College Sports Madness MAAC Player of the Week. The Catamounts travel to Kent, Ohio to continue play in the Coaches versus Cancer Classic. Thursday night's opponent will be the Kent State Golden Flashes of the Mid-American Conference. Game time is 7 pm. The Golden Flashers were predicted to finish fourth in the East Division in the MAC Men's Basketball Preseason Poll, behind Akron, Buffalo, and Ohio. Head coach Rob Senderoff returns three starters from last year's team that ended the season with a 21-14 record, advancing to the second round of the CollegeInsider.com Tournament. The Golden Flashers return two of top their top scorers from last season, Kris Brewer & Darren Goodson. This year the Flashes have three players averaging double digits: Junior guard Kris Brewer (13.8 points per game), redshirt junior guard Derek Jackson (12.5 points per game) and senior forward Darren Goodson (10.5 points per game). The Flashers brought in three transfers this season: Derek Jackson, K.K. Simons and Devin Carter. Jackson transferred from Central Michigan where he averaged 11.5 points and 1.8 steals. Simons averaged 7.0 points per game as a freshman with UNC-Wilmington and Carter spent one season in the junior college ranks brings a lots of versatility in the backcourt. He is a good scorer and should provide depth in the backcourt. Currently the Flashes stand at 3-1 overall, wins over Div III Ohio Northern (84-48), Temple (82-77), St. Peters (75-58) and a loss to Seton Hall (76-78). Kent State is currently ranked 164 in PRI (Warren Nolan) and a Sagarin rating of 114. For comparison, Western Carolina's RPI is 141 and Sagarin is 216. It's time time of the year again. The last conference football game of the year between two schools that have played each other in football since 1932. The longest continued series for both teams. The prize, as always, is the Old Mountain Jug. This year takes on a significance no other "Battle for the Old Mountain Jug" can match. It's the final jug battle between the two schools as conference mates. As the Mountaineers depart the Southern Conference at the end of June 2014 for parts unknown, they are ineligible for both the NCAA playoffs or the SoCon championship this year. So, the Jug is the one and only trophy they or the Catamounts can win this season. Both teams will enter the game with less than stellar records on Saturday afternoon. The Mountaineers are sporting a 3-8 record, while the Catamounts will come at 2-9. So, what would a victory mean for each team? For the Mountaineers, who own a 58-18-1 record in the series, it will simply be a continuation of the status quo for them, just an embarrassment if they are not able to retain the Jug after winning 26 of the last 28 meetings, losing only in 1998 and 2004 since the 1985 season. To be marked as the team that lost the Jug. For the Cats, winning the Battle not only will show definite improvement in the overall football program, but will put the jug permanently in the trophy case of the school not departing the conference, thus ending the trophy series. It will be a win this young Catamount team can build upon. Actually, playing the Mountaineers this season with their scholarship advantage is not a level playing field for the Catamounts, a disadvantage that only get worse as the Mountaineers add the full 85 scholarships next season. If the Catamounts win Saturday's game and bring the Old Mountain Jug back to Cullowhee, any future football games between Western Carolina and Appalachian State should only be played with the stipulation that the "Old Mountain Jug" does not change hands, until both teams are one again on the same NCAA division level. Signing day has come and gone. Tell us something about your schools’ signees. With Davidson’s loss to Wisconsin-Milwaukee and 0-3 start, is there anything wrong with Davidson that experience won’t fix? What should an ideal SoCon schedule look like? The Catamounts travel to Kent, Ohio to continue play in the Coaches versus Cancer Classic. Thursday night's opponent will be the Kent State Golden Flashes of the Mid-American Conference. Game time is 7 pm. The UNC Asheville women’s basketball team travels to Cullowhee and the Ramsey Center on Wednesday evening at 7:00 pm. The Lady Bulldogs are looking to avenge a loss to the Catamounts last season in Asheville, 58-45. The Cats enter the game on a three game slide, while the Bulldogs are 2-1 thus far this season, with wins over Furman and Eastern Kentucky at home, and a loss on the road to Wofford. The Bulldogs were a preseason pick to finish in 11th place (last) in the Big South Conference preseason poll. Second-year coach Brenda Mock Kirkpatrick returns eight letterwinners from 2012-13. Leading the way for the Bulldogs are junior guard Shonese Jones, the Big South Freshman of the Year in 2012. She returns from a season ending injury and was averaging 14.5 points per game before a knee midway through the season. Junior forward Jeannie Buckner (4.6 ppg, 3.9 rpg) along with sophomore guard Paige Love (7.4 ppg, 83 assists, 24 steals) also look to be big contributors for Asheville. Red-shirt sophomores Tacey Trammel and Leah Wormack also return as both missed most of last season with injuries. Looking to bounce back from road losses at Oregon and Virginia Tech, the Catamounts traveled to Liberty University's Vine Center on Saturday night. A 23-point performance by senior Tom Tankelewicz lifted the Cats to a 68-63 road win that avenges last season's one point loss to Liberty in the Ramsey Center. The Cats are now 3-2 overall. The Cats shot only 36.8% (21-of-57) from the field, but the Flames poor shooting (36.7 %) allowed the Cats to remain with in striking distance of the Flames, and allowed the Cats to capitalized on points off turnovers (21-5) and bench points (39-15). 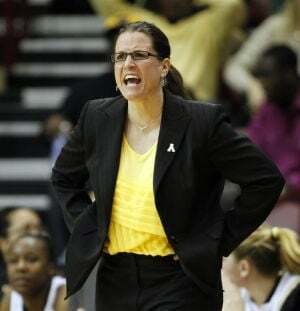 Both the Flames and Catamounts committed 19 personal fouls, which is a significant improvement for the Catamounts. Western Carolina continues in the Coaches versus Cancer Classic on Thursday, playing at Kent State. On Saturday, November 16th, the Catamounts travel to Lynchburg, Va. to meet the 2012-13 Big South Tournament Champions and NCAA Tournament participant, Liberty Flames. The Flames lead the all-time series, 2-1, after edging the Catamounts, 63-62, in Cullowhee last season (Dec. 31, 2012). Game time is 7 pm in the Vines Center (8,085). The Liberty Flames men's basketball team was selected to finish second in the Big South Conference North Division for the 2013-14 season. Head coach Dale Layer enters his fifth year with the program, returning four starters from last year's squad : senior forward JR Coronado (6-8, 245); junior forward Tomasz Gielo (6-9, 220); senior guard Davon Marshall (5-11, 170); and senior guard John Caleb Sanders (6-0, 180). Redshirt senior forward Antwan Burrus (6-6, 235), a 2011-12 starter, returns for his final year after missing the entire 2012-13 campaign due to injury. Talk about slow starts. Western Carolina scored just three points in the first eight minutes of the game, all free throws, in Virginia Tech's win over Western Carolina 79-61. The Cats failed to connect in their first 11 shots and didn't hit a field goal until Justin Browning's basket with about 10:30 left in the first half. The Catamounts shot just 22%t on 6-of-27 shooting in the first half, and only made 32.8% (20 of 61) for the game, including just 3-of-25 shooting from beyond the 3-point arc. James Sinclair led the Cats with 16 points, while Trey Sumler playing in his second game of the season, finished with 11 on just 5-of-14 shooting. Sumler scored 29 points in the Catamounts' loss at Oregon Wednesday night. "I don't want to use that as an excuse," Western Carolina coach Larry Hunter said about the Catamounts cross-country traveling. "I'm sure the kids are a little tired, and it's draining. But we just weren't very good in the first half. Let's be honest about it. We didn't shoot the ball very well, and we allowed that to frustrate us some. It really wasn't a pretty first half, but they were a little better than we were. At the end of the half, I thought they got a lot better, and they opened it up." Once again, personal fouls plagued the Cats through out the game. Western Carolina committed 32 fouls, putting the Hokies on the free throw line for 41 attempts, leading to 23 points for Virginia Tech. If it wasn't for our past foul prone history, I'd say this will get better as the season progresses, but I don't think it will. This team will have to win in spite of their foul problems, if they are to have a winning season. Having already met on the gridiron this year, the Catamounts will play the Hokies on the basketball court as they visit Blacksburg, VA and the Virginia Tech Hokies as part of the Coaches vs. Cancer Classic on Friday, November 15th 2013 at 7 pm. The game will be carried on the Catamount Sports Network, as well as on ESPN3. This will be the fourth meeting between the two teams, with the Hokies winning all three previous meetings with the Catamounts. In his second season at Va Tech, head coach James Johnson's Hokies are 1-1 on the season, having lost a one point game to the Atlantic Sun Conference's USC Upstate and winning against West Virginia 87-82. Both games were played at Va Tech's Cassell Coliseum and were part of this season's Coaches vs. Cancer Classic. Tech’s top three scorers in their win over West Virginia, freshmen Ben Emelogu (22 pts.) and Devin Wilson (16 pts. ), along with sophomore transfer Adam Smith (19 pts.) and have played a combined total of just six games for Virginia Tech. The Hokies were picked preseason to finish 15th (last) in the ACC, after a 13-19 (4-14 ACC) record in the 2012-13 basketball season. Tech return three starters from last season, senior forward Jarell Eddie (25 ppg) and senior forward Cadarian Raines (6.6 ppg), and junior forward C.J. Barksdale. However, Virginia Tech has suspended forward C.J. Barksdale the first three games of the season for a violation of team rules. The 6-foot-8, 235-pound Barksdale averaged 5.6 points and 4.7 rebounds last season, and has missed games against USC Upstate and West Virginia and will also sit out the Western Carolina game. Junior guard Marquis Rankin is also expected to miss his third game because of personal reasons..
Head coach Larry Hunter announced that the Western Carolina men's basketball program has signed three for the 2014-15 season: Alex Hicks, Devin Peterson and Ashley Williams. "First of all, I want to recognize my staff for all of the hard work they have put forth in helping to put together this 2014 recruiting class" Hunter said bout this years recruiting efforts. "With five talented seniors graduating next spring I have kept the pressure on them to tirelessly work at building quality relationships with coaches, recruits and their families, while promoting and selling the many positive qualities of Western Carolina University and our basketball program." "Alex (Hicks) is a very gifted player with great versatility," Hunter said. "He is comfortable inside around the basket and also out on the perimeter - a talented scorer from all over the court who has very good ball-handling and passing skills. His length and athleticism allow him to play bigger than his actual size. He should be able to compete for serious playing time very quickly." "Devin (Peterson) has good point guard instincts, skills and experience," Hunter said. "He is highly skilled with the ball; his poise and feel for the game help him score and distribute. He will play hard on both ends of the floor and has demonstrated leadership and toughness on his teams." "Ashley (Williams) is a long, athletic wing with great character and skill set," Hunter said. "He is the son of coaching parents and has been well schooled in the basics. He is someone who has been exposed to hard work and toughness and is a very passionate and committed young man. " "We are very excited about the overall character, talent, work ethic, passion and potential of this group of young men," concluded Hunter about his three signees. "They are good people who you want to be around, and this is a very talented class of players. There is good size and athleticism in this group. They have a good fundamental base with good offensive ball-handling, passing and shooting skills. Their positional diversity will help them fit comfortably into our system of play and should help us continue to compete for championships for the next several years." Western Carolina will wear throwback uniforms like those worn during the early-to-mid 1980s during Saturday's game against the Furman Paladins. The throwback uniforms are part of the celebration of the 30th anniversary of Western Carolina's run to the NCAA Division I-AA national title game. "Starting at the top of the uniforms, fans will notice the return of the golden "The Cats" logo on either side of the traditionally purple helmet, completed with a white facemask reminiscent to those worn during the 1983 season. The purple jersey is adorned with white numbers front and back with smaller numbers on the sleeve below the shoulder pad line, replicating the look used during the early 1980s. Each jersey includes a special commemorative 30th anniversary patch sewn on the upper left-hand chest. WCU will complete the look with replica gold pants that feature a purple-white-purple, tri-stripe on the either side. The throwback uniform even has a purple belt like those worn during the 1983 run to the NCAA Division I-AA National Championship." Trey's Sumler returned to the basketball court against the Oregon Ducks Wednesday night, scoring 29 points in his season debut in Western Carolina's first loss of the season against the 18th nationally ranked Oregon Ducks. Sumler's team high 29 points tied his career high for field goals made in a game, while James Sinclair added 17 points and Tom Tankelewicz put up 11 points and Brandon Boggs putting up 10 from the bench. Oregon's hot shooting combined with the Catamount's tendency to foul the Ducks on each Oregon possession, became a significant problem for this Catamount team. The Cats were called for a total of 34 fouls in the game, sending the Ducks to the charity stripe for 47 attempts at the charity stripe. Oregon scored 35 points with the clock not running in this give-a-way from the Cats, for 75% free throw average. For this team to be successful this season, the Cats must reduce personal fouls. In the first three games so far this season, they have committed a total of 71 personal fouls, there by giving up a total of 72 points in three games at the free throw line. In close games, this is a difference maker. 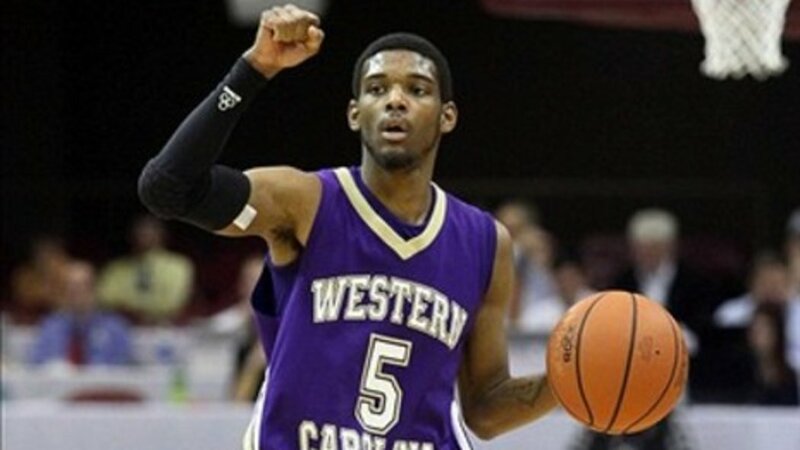 Great news out of Cullowhee for both Trey Sumler and Catamount basketball fans today. The legal charges against men's basketball player Trey Sumler have been dismissed, therefore, Sumler has been reinstated to the team and is eligible to resume competition immediately. Charges are still pending against Josh Mendenhall, and he remains suspended from competition indefinitely pending the outcome of the legal proceeding. It is our understanding that Sumler traveled to Eugene, Ore. with the team, and could return to competition as early as tonight, after missing the first two games of the season due to his suspension. On Wednesday, the Catamounts travel to Eugene, Oregon for the first ever meeting between the Catamounts and the Oregon Ducks in the Matthew Knight Arena (12,541). The Ducks were picked to finish fourth in the PAC 12 preseason polls. Last season, the Ducks finished the season 28-9, playing in the postseason, NCAA Sweet 16, losing to eventual national champions, Louisville. The 18th ranked Ducks (1-0) beat Georgetown 82-75 last Saturday in their season opener played at the US Army Base Camp Humphreys in South Korea. However, sophomore point guard Dominic Artis (6-1, 186) and sophomore forward Ben Carter (6-8, 220), both of whom were expected to be starters for the Ducks, were suspended for violating team rules and did not make the trip to Korea. The duo was suspended for a total of nine (9) games for selling the limited edition shoes that were given to them for being members of the Oregon basketball team. That's the good news for the Catamounts. What's the bad news? Oregon's usual "quick rebuilding" effort has a trio of transfers in redshirt senior guard Jason Calliste (6-2, 171); redshirt junior guard (6-2, 185) Joseph Young; and redshirt senior forward Mike Moser (6-8, 211). All three are eligible this season and should provide the depth to overcome the loss of Artis and Carter. Head coach Dana Altman has had major makeovers utilizing transfers in each of his four seasons at Oregon and made significant postseason runs in the past three years. Will his formula utilizing transfers work again this season? I wouldn't bet against him. In the opening game for the Ducks, Joseph Young, a redshirt junior guard, had 24 points and five rebounds while redshirt senior guard Jason Calliste scored 16 points off the bench, making 11 from the charity stripe. Senior forward Mike Moser (6-8, 211) scored 15 points while pulling down 7 rebounds. As far as we know today, the Cats will continue to be without the services of Sumler and Mendenhall, but we understand that they are traveling with the team on this road trip, leading me to think the coaching staff expects a change in status at any time. Catamount junior James Sinclair lead Western Carolina to a 74-67 victory over mountain rival UNC Asheville in the Ramsey Center on Monday night. A trio of Catamounts scored in double figures, joining Sinclair was Tom Tankelewicz and Tawaski King, as both put up 14 points. The Catamount lead 38-27 at halftime, but it was UNCA's Andrew Rowsey that led all scores on the night with 24. The Cats made 26 of their 63 attempted field goals for 41% and hit 15 of 24 free throw attempts for a 63% average. The Cats are now 2-0 on the young season, and will now travel to the west coast to play 18th nationally ranked Oregon on Wednesday night, tip off time is 11 pm eastern time. The Catamounts remain without the services of Trey Sumler and Josh Mendenhall, as they remain on indefinite suspension. UNC Asheville (0-1) travels to Cullowhee Monday night to meet the Catamounts in the Ramsey Center, tip-off time is 7 p.m. Following the departure of long time Asheville coach Eddie Biedenbach, Asheville will be looking for their first win of new coach Nick McDevitt's era after losing to Kentucky by a final score of 89-57 last Friday night. The Catamounts leads the series 24-20 all-times. In the Kentucky game, sophomore forward Will Weeks led the Bulldogs with 19 points and seven reboundsm while freshman guard Andrew Rowsey put up 12 points. The Bulldogs took a hit from last season's team to graduation/transfers, losing their top two scorers. Jeremy Atkinson led UNCA with a 17.8 average and was lost to graduation, while Keith Hornsby averaged 15 points per game and was second in the nation in free throw percentage at .925 before transferring during the off season. The Bulldogs will also be missing a couple of roster players in the backcourt for Monday's game. Senior guard Trent Meyer is out with an ankle injury. Meyer is the leading returning Bulldog scorer with a 9.7 average. Sophomore guard Marcus Neely will take a medical red-shirt with a knee injury. According to the UNCA media relations office, Asheville is the tallest team in the Big South this season. They are listing five players 6-9 or above. The UNCA roster has two 6-9 forwards: Mike Bedulskis, Giacomo Zilli, a 6-9 center/forward: Chudier Pal, and a 6-11 center: D.J. Cunningham along with 7-0 center: Jaleel Roberts. During the Kentucky game, D.J. Cunningham started at center, playing 19 minutes and just missed a double-double with eight points and 10 rebounds. Of the other big men: Bedulskis played 3 minutes scoring 1 field goal and had no rebounds; Zilli played 7 minutes without scoring and pulled in one rebound; Pal played 4 minutes, without scoring, but pulled down 3 rebounds; Roberts was in for 10 minutes, attempted 3 field goals but not scoring and had one rebound. Catamount Basketball tips off today. The women's team travels to Mercer for 5:00 pm start time, while the men's team hosts Wittenberg at 7:00 pm in the Ramsey Center. Mercer holds a 4-0 advantage over Western Carolina. The Catamounts and Bears haven't met since 1999 when Mercer defeated the Cats 76-70. Playing without the services of seniors Trey Sumler and Josh Mendenhall, the Cats open with back-to-back games in the Ramsey Center on Friday, November 8 against Wittenberg and then host UNC Asheville on Monday, November 11 before playing the next six games on the road. According to the Sylva Herald, Trey Sumler and Josh Mendenhall have now been suspended from the WCU basketball team indefinitely. Sumler and Mendenhall were initially suspended for the first game of the season, based on simple assault charges, but those charges have now be upgraded to "assault with a deadly weapon inflicting serious injury". With the new charges, comes the indefinite suspension of the two. According to the newspaper, "they are charged with assaulting Joshua Gibson “by striking (him) with brass knuckles and punching the victim in the right eye causing a fractured orbit,” according to warrants on file with the Jackson County Clerk of Court’s office. This results in a major blow to the hopes and expectations for the 2013-14 Catamount Basketball team. The Cats were picked to finish third in the preseason rankings by both the coaches and media, but many felt that they could seriously contend for a regular season championship. Without player of the year candidate Sumler and an improved Mendenhall, expectations must be lowered considerably. 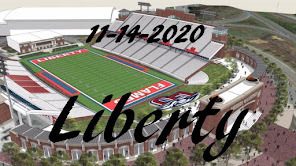 Each week, our SoCon bloggers/message boarders (one representing each team) will vote on a Game of the Week, Power Rankings and at least three will answer a series of questions on their team and things of interest around the SoCon. 1) Who is your preseason SoCon Player of the Year? 2) What team do you think will be the biggest disappointment? 3) What team do you think will be the biggest surprise? 4) Give a storyline for the SoCon you are interested in following this year. Here's this week's slate of conference games - there is only three conference games this week. Western Carolina will host the Hummingbird Intercollegiate on Nov. 2-5 at the Country Club of Sapphire Valley. "We are very pleased to once again host the Hummingbird Intercollegiate in nearby Cashiers," said WCU first-year head coach, Bryant Odom. "The Country Club of Sapphire Valley provides so much more than just a pristine golf course for our program to use throughout the season. The club's membership, golf staff and overall hospitality have added immeasurable value to the program and the Hummingbird Intercollegiate for several years. This is a great opportunity for us to play a national field while showcasing this special place we call home." The 2013 tournament gets underway on Saturday, Nov. 2 with a practice round. Three 18-hole rounds are scheduled on Sunday through Tuesday. The tournament is open to the public with free admission. The Samford Bulldogs enter the 2013-2014 season with a lot of fresh faces and guarded optimism. Samford returns 4 starters from last season's young squad (the veterans are juniors), as well as significant contributors Russell Wilson and Brandon Hayman. Head Coach Bennie Seltzer added a talented host of freshmen, as well as big-man transfer Michael Bradley. The one consistency carried over from last season is that the Bulldogs will be young and there will be freshmen seeing playing time right away. The big question is whether the Bulldogs can win consistently and find success on the road. The big difference from last season may be the luxury of depth.